It's time to stop denying their existence and start getting to know them and why they came to pay you a visit. Whether you're a parent or a child - we all have something we are afraid or scared of which might cause you tension/anxiety or fear in your day to day life. It might be fear of standing in front of a crowd or just being afraid of the dark - the origin of these fears is always the same - fearing the unknown. 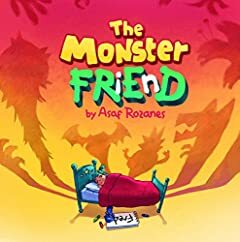 In this amusing and heroic bedtime tale Mia decides to confront her worst fears - what happens next is truly inspiring and provides both children and parents with REAL practical life tools for facing and conquering their fears! Fun, cute and entertaining with beautiful illustrations, a hidden game, coloring pages and an activity sheet with discussion points - ALL IN ONE BOOK!